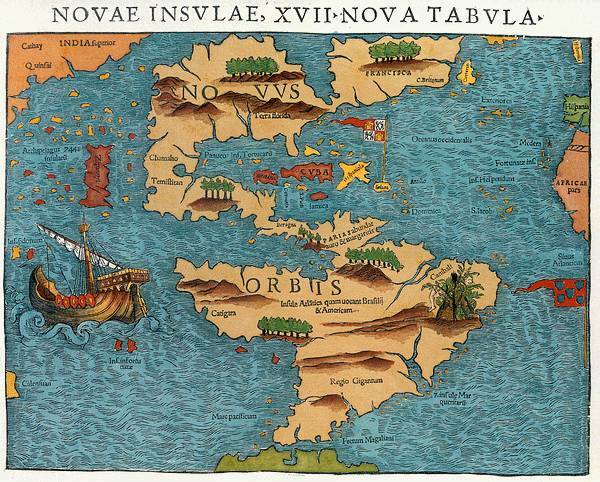 In the early 1500s there was somewhat of a geographical oddity at work if you were to look at a map of North America. This is partly due to a discovery flaw known as a Verazzano’s Sea. Giovanni Verrazano was an Italian explorer who was secured by the king of France to explore the coast of North America. 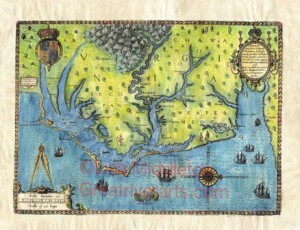 His job was to chart the typography of the region from the Carolinas to Newfoundland. Once he discovered the Outer Banks of the Carolinas, he mistakenly understood the Outer Banks to be an inlet to the Pacific ocean. As such, many maps of North America produced during that century were greatly misshapen and disproportionate. There is a noticeable hourglass waist line that would be traversed by the inlet to access the Sea of the West, the body of water we commonly known as the Pacific Ocean. The irony of the flawed discovery is that it was prevalent for a little more than two centuries. 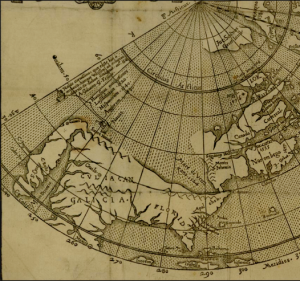 Even on maps dated as late as 1790, you can find sketches of Verrazano’s Sea, cutting sizable chunks through parts of what are today known as Canada. It seems that just as today, belief systems regarding myth are touted, and validated, as fact once they are supported. 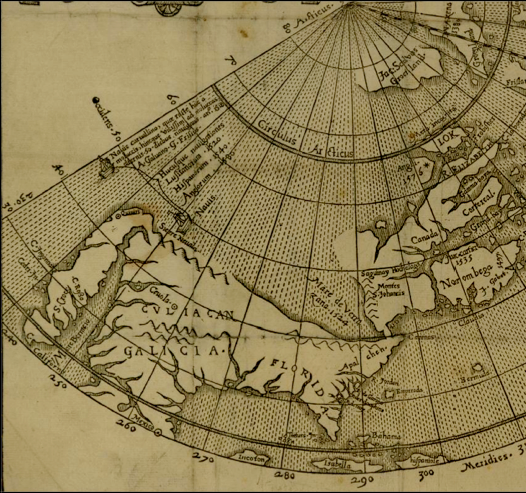 A full century later, in the late 1670s, when John Lederer made his notable explorations of Virginia and North Carolina, most people believed that the Western Sea, or Pacific Ocean, was a mere 10 to 15 days inland. Eventually, we would become known as the country that stretches from sea to shining sea, but at the time it was thought we were a mere land mass that could be traversed from sea to shining sea in two weeks or less! 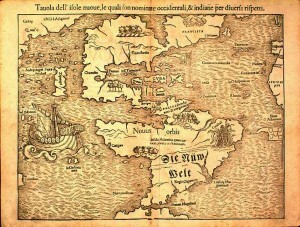 It would not be until the early 17th century when a pair of explorers named Guillaume de I’Isle and Phillippe Bauche (his brother-in-law) would re-chart the sea. 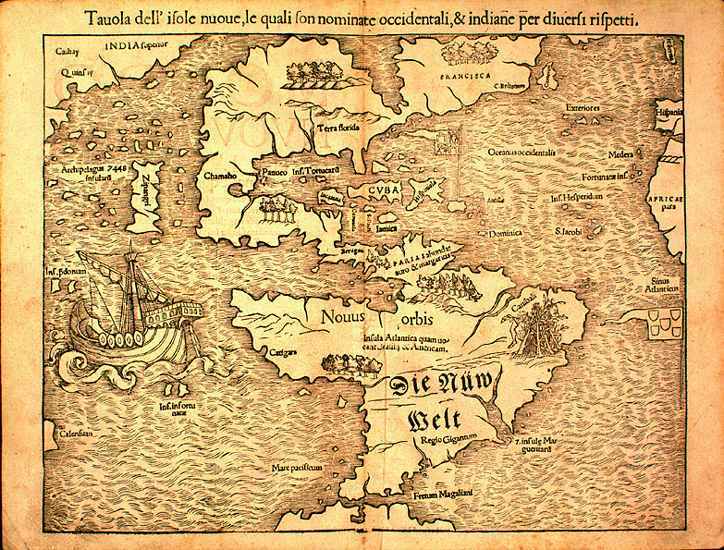 This was vitally important because finding a trade route to the east would be powerful and lucrative for France. So, after having refined their “new understanding” of the size of the Sea of the West, they kept it secret as a benefit for the nation of France. They thought is would give France an upper hand by making their trade route fast and efficient. As such never published it in any of their works… even though their information was still an accurate. Soon after, their work was absconded by a rival cartographer who released their secretsand a couple of lawsuits flew back and forth. 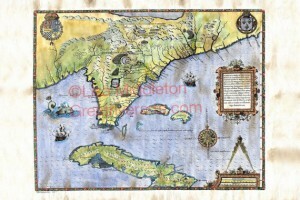 However, this was all moot by the end of the early 18th century when the world of cartography had grown and accurate map making versus theoretical map making would become the order of the day. As such, the sea known as Verrazano’s Sea was completely erased in the late 18th century with the exploration of James Cook and George Vancouver. Their real life western trek erased many of the proposed and reinforced myths that had circulated for the betterpart of two centuries. As a result, like most myths, Verrazano’s Sea simply disappeared.